When the European Athletics Indoor Championship roll into Glasgow next year there will be a host of British athletes looking to extend their dominance indoors or establish themselves among the continent’s best. For some it could be the latest chapter in fierce rivalries, for others the chance to take on the world’s best. Here we take a look at five athletes who could stand in the way of British success in 2019. The Teesside Tornado Richard Kilty has been a dominant force in indoor athletics for a number of years now, with back to back European title in addition to a world crown in 2014. Last year in Belgrade he was pushed all the way by young Slovakian Jan Volko, whose time of 6.58 seconds was a national record on his way to silver. Still only 21, Volko lowered both his 100m and 200m personal bests in 2018, including a national record over the longer distance. Whether he will have the raw speed to beat Kilty or CJ Ujah in a 60m race remains to be seen, he is certainly worth keeping an eye on. At this stage it is impossible to know who will be racing in the 60m but this has the potential to be a cracker of a race given the standard of European sprinting at the moment. Dina Asher-Smith was the golden girl in Berlin this summer, winning European 100m and 200m titles, and getting the better of the Netherlands’ Dafne Schippers in both. Asha Philip is the defending champion, while Switzerland’s Mujinga Kambundji has plenty of pedigree having taken bronze in Belgrade last year and repeating the feat at the Worlds in Birmingham this winter. 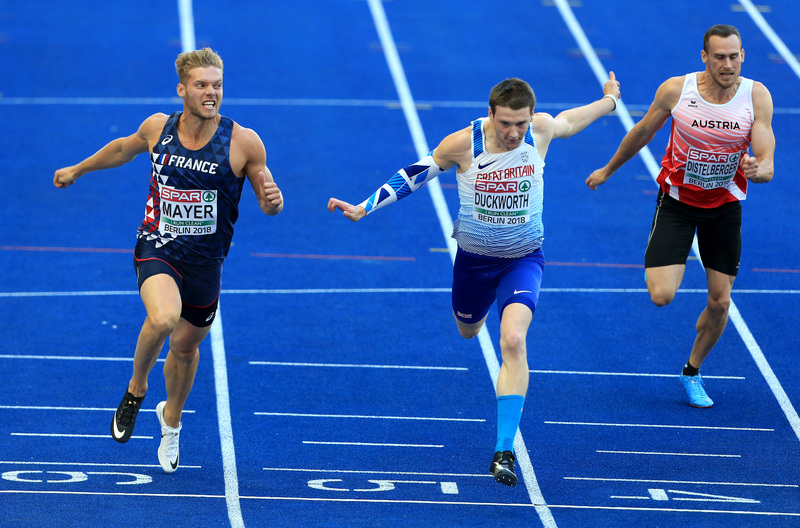 As the European and World Indoor champion, Andrew Pozzi is the man to beat over the high hurdles, but in Pascal Martinot-Lagarde, he faces a considerable challenge. The experienced Frenchman took his first major outdoor title in Berlin this summer, but he has already taken a European Indoor title back in 2015 in Prague. His silver behind Pozzi in Belgrade meant that he has the complete set of 60m hurdles medals in the Europeans, having won bronze in Gothenburg in 2013. Sergei Shubenkov won gold in Sweden in that race, and has also enjoyed a lot of success outdoors, so will be another to keep an eye on. Laura Muir grabbed the headlines in Belgrade with her double success over 1500m and 3000m, and depending on what she decided to do in Glasgow, she will be a strong contender to add to her European haul. Standing in her way could be the Netherlands’ Sifan Hassan, a major rival of Muir’s in recent seasons and a former European and World Indoor champion over 1500m. She picked up two medals at the Worlds in Birmingham this year, silver over 3000m and bronze over 1500m, so there is no question that she could be a strong contender for a medal in Glasgow. Sunday saw two world records fall on the same day as Eliud Kipchoge lowered the marathon mark before Kevin Mayer broke Ashton Eaton’s decathlon record. Mayer, the reigning heptathlon champion, would be the man to beat in Glasgow in the defence of his crown. In Berlin this summer, his foul in the long jump opened up the decathlon competition, with Tim Duckworth looking like a medal contender for much of the competition before fading in the final events. The British Indoor record-holder is still only 22, and while beating Mayer would take some doing, there is plenty of margin for progression for the youngster.